WASHINGTON -- President Donald Trump has called North Korea a “problem” country and said it will be dealt with through a broad set of options, though they’re vague for now. 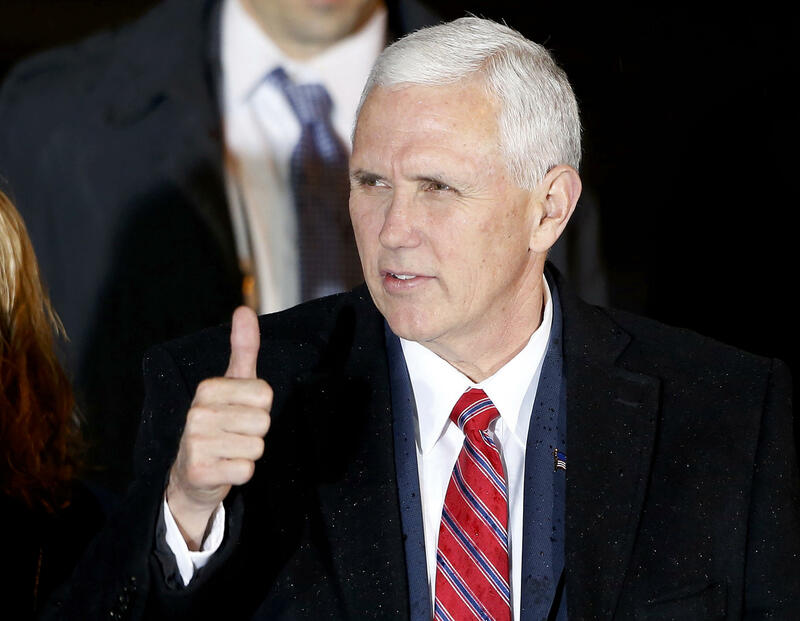 It may be up to his vice president, Mike Pence, to fill in the details during a visit to Asia. His travels to the region, including stops in South Korea and Japan beginning Sunday, come amid indications that North Korea is potentially preparing its sixth nuclear test in a decade or a significant missile launch, such as its first flight test of an intercontinental ballistic missile. While Pence was in the air, the U.S. Pacific Command confirmed North Korea tried and failed to launch a missile. The missile exploded upon launch, the U.S. Pacific Command said. The White House issued a statement Saturday night saying it was aware of the missile test. Hours before Pence left, North Korea showed off its ICBMs in a military display at the annual parade in the capital that celebrates the birthday of the North’s founding ruler, the grandfather of current leader Kim Jong Un. Mr. Trump, who has proved to be unpredictable on foreign policy, has responded to the recent concerns over North Korea with a swagger that suggests a new, tougher stance. He has repeatedly said that if China, North Korea’s dominant trading partner, isn’t willing to do more to squeeze the North, the U.S. might take the matter into its own hands. After a two-month policy review, the Trump administration has settled on a policy toward the North that relies on “maximum pressure and engagement,” U.S. officials said Friday. The administration’s immediate emphasis, the officials said, will be on increasing pressure on Pyongyang with the help of Beijing. Pence will try to explain the policy in meetings with leaders in South Korea and Japan at the start of a 10-day tour that will include stops in Indonesia and Australia. Where is North Korea in its nuclear test preparations? Kim has pointed to nuclear weapons as the foundation of his national defense strategy and has openly sought a nuclear weapon that could strike the continental United States. Analysts have said commercial satellite images from recent weeks indicate increased activity around the nuclear test site in northern North Korea. The U.S. last week acted unilaterally in ordering a cruise missile strike on Syria and has sent what Mr. Trump called an “armada” to the waters off the Korean Peninsula. Thousands of U.S. and South Korean troops, tanks and other weaponry were also deployed last month in their biggest-ever joint military exercises, which prompted North Korea to issue routine threats of attacks on its rival if they show signs of aggression.